The Quantum 1000 water filtration systems is an advanced .5 micron carbon block water filtration system that integrates multistage technology into a large single stage filter, producing great tasting water free of lead, heavy metals, contaminants, chlorine and bacteria. Used by many major food and restaurant chains, the Quantum 1000 water filtration system includes a quality lead free faucet and all the necessary hardware for installation in your kitchen, and features low cost annual filter replacements. Reduces chlorine taste and odor, dirt, rust, asbestos fibers and other particulates. Reduces parasitic protozoan cysts such as Giardia, Entamoeba, Cryptosporidium. Reduces common earthy, moldy, fishy tastes and odors. Quantum 1000 filter cartridge's metal canister delivers commercial grade durability and quality and protects the filter system from splitting or bursting. It’s lined with a food-grade polymer that prevents the water from coming in contact with the metal. Quantum filters rid your water of chlorine, rust, asbestos fibers, and other contaminants while retaining essential minerals found naturally in water. So your water is as healthy as it tastes. 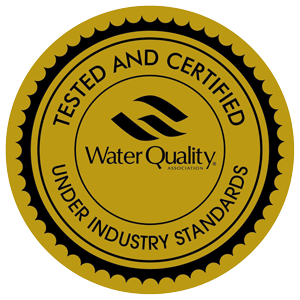 Its water filtration you can trust – the kind that will never go out of style. Cysts such as Cryptosporidium and Giardia Lamblia. 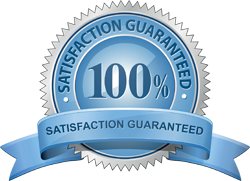 The NSF Seal is your guarantee of Quality. 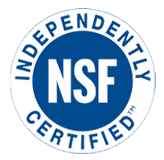 NSF International is the leading independent testing and validation organization which sets standards for drinking water systems. NSF has given the Quantum 1000 its highest rating. Standard No. 42: Aesthetic Effects/Chemical Unit, Taste, Odor & Chlorine Reduction: Class 1 Standard No. 42: Mechanical Filtration Unit, Particulate Reduction, Class 1, 99.9% at ½ micron Standard No. 53: Health Effects/Turbidity Reduction/Cyst Reduction/Asbestos Reduction/Lead Reduction. Quantum 1000 water filtration system brochure.